If you saw our last post on gesture control you’ll know that this technology is gaining momentum, presenting endless opportunities for new physical/digital interactions. Gesture control is being used for everything from controlling online payments to flying quadcopters. This makes it a versatile tool with applications ranging from the everyday to the extraordinary. One of the most exciting uses for brands is in conference and trade show stands. Visitors to your stand can use gesture control to navigate their way around presentations and even play games without even having to touch anything. This makes it easy for people to get involved instantly and have a truly immersive experience at your stand. bmore has already built stands like these for a number of clients, helping them to attract people at shows and make a memorable connection. 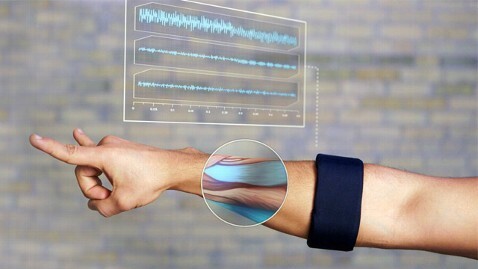 With more in development, we’re excited about the possibilities gesture control throws up for the future. Keep your eyes peeled for more on the future of gesture control, as well as other tech that can help you build a meaningful relationship with your audience.